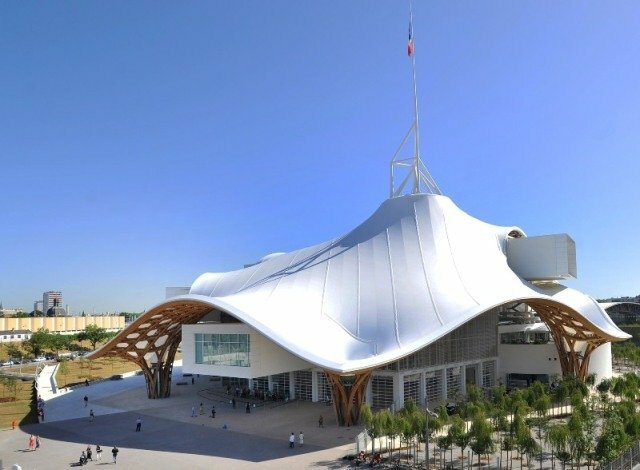 Japanorama: A new vision on art since 1970, curated by Professor Yuko HASEGAWA, is now on show at the Centre Pompidou Metz from October 20, 2017 to March 5, 2018. As the title suggests, this is a large-scale exhibition which surveys contemporary art in Japan for nearly half a century since 1970 up to the present, with about 350 works by 108 artists. Kotaro SHIMADA, our Research Assistant, worked as Research Fellow of the exhibition, and Seiha KUROSAWA, Yoji SUZUKI and Junya UTSUMI, students majoring Curation at our Master’s course in Department of Arts Studies and Curatorial Practices, contributed in the exhibition. KUROSAWA worked as Curatorial Assistant (in charge of the exhibition making and catalogue writings) and, SUZUKI and UTSUMI conducted researches and catalogue writings. In certain ways, Japan is a highly unusual country. It is an island nation state, marked by a cultural tradition of over 2000 years. Japan was among the rest countries in Asia to modernise at the end of the nineteenth century, writing its own history by escaping the cultural colonisation of the West, even retaining its language. A country of contrasts in which tradition and cutting-edge technology coexist, in which the relationship between man and nature is considered paramount, Japan has been able to balance individual and collective demands. As globalization is in full swing and growing ever more, these are just some of the reasons that should lead us to explore this country. Better still, let us examine how Japanese culture, already regarded as a source of Western modernism, can represent a “cultural stimulus”, or even a model for Europe today, plagued by discontinuity and uncertainty. Owing to its nature and its kaleidoscopic character, Japanese contemporary art – the visual arts as a whole whole – has rarely been the subject of retrospective exhibitions in France or in Europe. There is, however, at least one major precedent: the exhibition Le Japon des avant-gardes 1910-1970 (Avant-Garde Arts of Japan 1910-1970), organized at Centre Pompidou in 1986. This important exhibition examined the expression of Japanese modernity, influenced by Western avant-garde artists. However, one could argue that putting on this exhibition owed much to the ease of establishing a connection between the context of Japanese avant-garde art in the first half of the twentieth century and the modernist logic of the West, to which it belonged to a certain extent. One of the reasons why most exhibitions in recent years, which took an interest in the Japanese art scene, focused on the post-war period up to the 1970s is probably because, until that time, Japanese art was rather easy to apprehend as an extension or development of the Western artistic context. the backdrop as well as the artistic creations themselves. The expression “New vision” indicates the turning point, from the 1970s, when the country began to assert its own cultural identity as a nation. In a way, the exhibition seeks to set the tone for what could be a future vision of contemporary Japan. 1970 was the year of the Osaka World Exposition, Expo’70, the height of Japanese modernism. 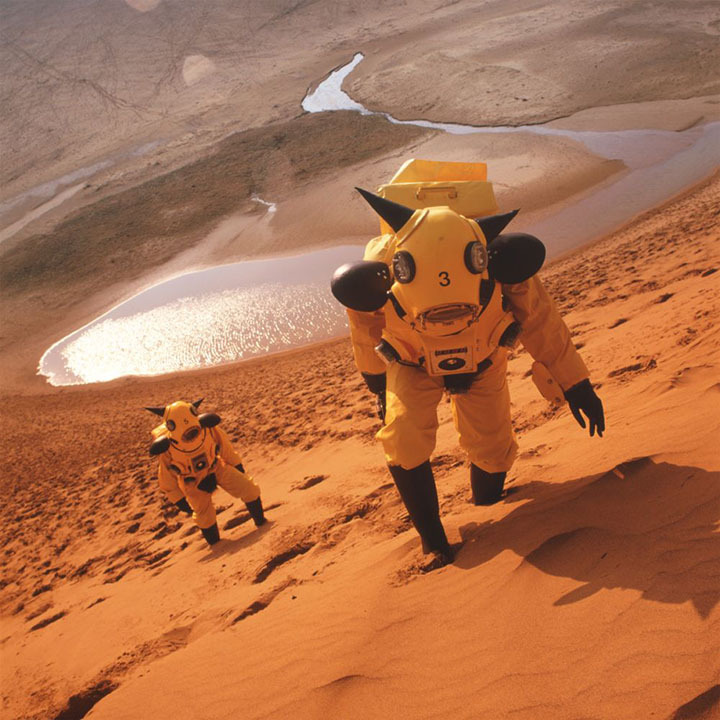 It was also the year of the tenth Biennale in Tokyo, Tokyo Biennale 70 – Between Man and Matter, which welcomed many international conceptual artists. This was the beginning of a period of transition during which Japan tried to free itself from the “post-war order”, in other words, from Western cultural influence. This moment of liberation from formalism went through an affirmation of the real, passionate expressionism and anti-art actions. When it came to an end, the tendency to deny or to relativise reality had become internalised, giving rise to the reductionism of the 1970s. In the field of art, this phenomenon was represented by Mono-ha, literally the school of things, which focused on matter, and by Japanese conceptual artists, who focused on ideas. Japanese artists sought to cut themselves off from Western influences and create their own culture. the “post-human”, and digital dematerialisation. Their methods enabled a “reset”, by getting rid of the remnants of physicality and emotion that clung to the post-war aesthetic and giving it a true novelty. The culture of the 1980s could be seen as a reflection of an era of excessive consciousness manifested by the exacerbation of the differences between the individual and others. In 1990s, the collapse of the speculative bubble and the recession created an ambiguous and unstable atmosphere in which the immediate future was not clearly mapped out, and young people began to seek an “unequivocal” reality that would not tolerate the cosmetic. In the early 1990s, Takashi Homma’s suburban photographs and the architecture of Kazuyo Sejima (co-founder of SANAA and in charge of the design of this exhibition), which deconstructed the current architectural language, left the meaning of an image or the agenda for a building completely open to interpretation. The appropriation of images by the so-called “neo-pop” culture, represented by Takashi Murakami among others, was spectacular and marked by a strong discursivity, while reflecting the psychological anxiety of a generation, rooted in the awareness of environmental problems and the disorder in the economic and socio-political backdrop affecting individuals. on interpersonal communication and mutual support. There was a “trigger” allowing now for personal expression, without pretension or artifice, in every-day life. arts and forms of expression based on images, including personal photography, documentary, architecture and fashion. After “3.11”, the Great East Japan Earthquake and Fukushima Daiichi Nuclear Power Plant Accident of 2011, the same burst of social engagement was again seen in art and various creations in Japan. the environment and which linked intelligence and perception. But this lack of ability to form a global theory of coherent art allowed for the emergence of many unique and individual forms of expression. the interaction of the two aforementioned parameters. The idea is to organize this exhibition not chronologically, but according to six key words or subjects, covering aspects characteristic of Japanese visual arts. Each keyword forms its own thematic island, the six being naturally connected to each other in the form of an archipelago. The design of the galleries has been realized by SANAA, Pritzker Prize winner and known for allowing the architectural form to flourish, by subtly connecting private and public spaces. of crisis, to encourage creativity through the spreading and exchange of cultures.